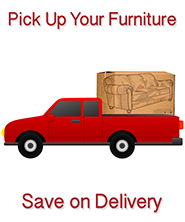 At The Home Warehouse you will find name brand furniture for the lowest prices guaranteed. We respect our customers and value your business. We are a company of our word, so when we tell you that we have the lowest prices around - we mean it! Prove us wrong and name your price! Honest and reliable business is our motto - on time deliveries and promised receivable dates is what we believe in. Please come in our store and see for yourself!